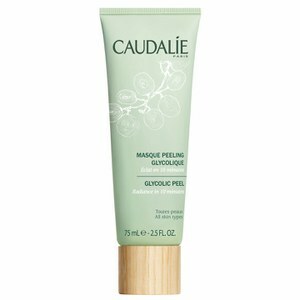 Caudalie Purifying Mask works by balancing and cleansing the skin to leave skin with a clearer complexion. Ideal for combination to oily skin, its shine-free formula contains soft, white clays which work to absorb and remove excess oils for clarified skin with a matte finish. Zinc and flax seeds regenerate and soothe skin to minimise the appearance of blemishes. E.N. Directions for use: Apply twice a week to skin and leave for 10 minutes. Rinse with water. 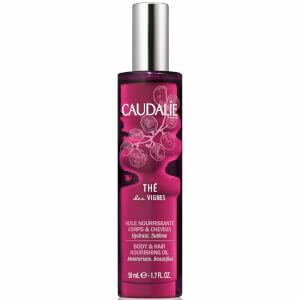 Aqua (Water), Kaolin, Glycerin*, Olus Oil (Vegetable Oil)*, Vitis Vinifera (Grape) Seed Oil*, Propylene Glycol Dicaprylate/Dicaprate*, Neopentyl Glycol Diethylhexanoate, Glyceryl Stearate*, Cetearyl Alcohol*, Ethylhexyl Palmitate*, Caprylic/Capric Triglyceride*, Cetyl Alcohol*, Bentonite, Ceteth-20 Phosphate, Magnesium Aluminum Silicate, Ci 77891 (Titanium Dioxide), Benzyl Alcohol, Dicetyl Phosphate, Tocopheryl Acetate*, Citrus Aurantium Bergamia (Bergamot) Fruit Oil*, Hydrogenated Vegetable Oil*, Caprylyl Glycol, Lavandula Angustifolia (Lavender) Oil*, Linum Usitatissimum (Linseed) Seed Extract*, Euphorbia Cerifera (Candelilla) Wax*, Cupressus Sempervirens Oil*, Dehydroacetic Acid, Sodium Hydroxide, Salvia Sclarea (Clary) Oil*, Commiphora Myrrha Oil*, Santalum Album (Sandalwood) Oil*, Sodium Phytate*, Zinc Pca, Anthemis Nobilis Flower Oil*, Limonene*, Linalool*. (074/051)*Plant Origin.